PhD Victoria University, BDes (Interior Architecture), Victoria University. social justice issues in relation to architectural and urban design. My research seeks to redefine sustainable architecture and urban design through mimicking ecosystems, changing the goals from sustainable to regenerative development, and integrating complex social factors into sustainable architectural design. My current research explores how understanding ecosystem services can be used to define tangible ecology based metrics for sustainability assessment or design goals in the urban built environment with particular regard to how climate change and continued loss of global biodiversity will affect architecture and communities. My expertise include: biomimicry and architecture, biophilic design, ecosystem services in cities, ecosystem-based adaptation, urban climate change resilience, regenerative design, and urban biodiversity. Links to these publications can be found here. 2018, Pedersen Zari, M. ‘Regenerative Urban Design and Ecosystem Biomimicry’. Oxon, Routledge. 2017, Petrović, E.K., Vale, B. and Pedersen Zari, M. ‘Materials for a Healthy, Ecological and Sustainable Built Environment: Principles for Evaluation’. Woodhead Publishing. 2018, Pedersen Zari, M. ‘Biomimicry for Sustainable and Regenerative Architecture’. In Lu, D. (Ed),The Routledge Companion to Contemporary Architectural History. Routledge, In Press. 2018, Pedersen Zari, M. ‘Biomimetic materials for addressing climate change’. In L. Martínez, O. Kharissova & B. Kharisov (Eds), Handbook of Ecomaterials. Springer. 2018, Pedersen Zari, M. ‘Biomimicry for Sustainable and Regenerative Architecture’ In Lu, D (Ed),The Routledge Companion to Contemporary Architectural History. Routledge, In Press. 2015, Pedersen Zari, M. ‘Can Biomimicry be a Useful Tool in Design for Climate Change Adaptation and Mitigation?’ In Pacheco-Torgal, F., Labrincha, J. A., Diamanti, M. V., Chang Ping Yu, and Lee, H. K. (Eds), Biotechnologies and Biomimetics for Civil Engineering. Springer, Cham. Pages 81-113. 2018, Rastandeh, A., Pedersen Zari, M., & Brown, D. K. ‘Land cover change and management implications for the conservation of a seabird in an urban coastal zone under climate change’. Journal of Ecological Management & Restoration. Vol. 19, No. 2, pages 147-155. 2018, Rastandeh, A., Pedersen Zari, M ., ‘A spatial analysis of land cover patterns and its implications for urban avifauna persistence under climate change’. Landscape Ecology. Vol. 33, No. 3, pages 455-474. 2017, Pedersen Zari, M. ‘Biomimetic Urban Design: Ecosystem Service Provision of Water and Energy’. Buildings. Special Issue: Biomimetics in Sustainable Architectural and Urban Design, Vol. 7, no. 1 pg 21. 2016, Pedersen Zari, M. ‘Mimicking ecosystems for bio-inspired regenerative built environments’. Journal of Intelligent Buildings International (IBI). Special Issue: Biomimetic Building Design. Vol. 8, no.2. pg 57-77. 2015, Pedersen Zari, M. ‘Ecosystem processes for biomimetic architectural design’ Architectural Science Review (ASR). Vol. 58, no. 2, pg 106-119. 2015, Pedersen Zari, M. ‘Ecosystem services analysis: Mimicking ecosystem services for regenerative urban design’. International Journal of Sustainable Built Environment (IJSBE). Vol. 4, no. 1, pg 145–157. 2018. Part of a multi-disciplinary team working on Ocean Cities (Pacific focus) for the United Nations ESCAP organisation. 2018. Invited Special Workshop speaker / facilitator at the 2nd Pacific Climate Change Conference, Wellington, February. Hosted by Victoria University and SPREP. 2017. Recipient of a Firebird Foundation Research Fellowship to study vernacular architecture. 2017. Section leader and member of a multi-disciplinary team working on the Pacific Ecosystem-based Adaptation to Climate Change (PEBACC) project. PEBACC is a five year initiative implemented by the Secretariat of the Pacific Regional Environment Programme (SPREP) in partnership with the governments of Fiji, Solomon Islands and Vanuatu. The project is part of the International Climate Initiative (IKI). 2016. Wellington City Council ‘Our Living City’ Fund recipient for the Biophilic Map of Wellington project. 2015. Victoria University of Wellington School of Architecture ‘Research Streams Development’ Grant recipient for the Ecology is not a Metaphor! Project with colleagues Dr P. Connolly and M. Southcombe. 2015. Victoria University of Wellington ‘Research Establishment Grant’ recipient for the Regenerative Urban Environments and Ecosystem Services project. 2014. Invited member of the Formas Expert Review Panel for Sustainable Building and Planning Research. Formas is the Swedish Research Council for Environment, Agricultural Sciences and Spatial Planning. 2013. International Scientific Committee of the SB13 Pushing the Boundaries: Net Positive Buildings Conference in Vancouver. Blind peer reviewed conference organised by the University of British Columbia. 2012. Scientific Committee of the 1st International Conference on Building Sustainability (BSA) held in Portugal in May 2012. Other members of the Scientific Committee include researchers of the highest international standing in the field. It is a blind peer reviewed conference organised by the Greenlines Institute for Sustainable Development and the University of Minho. § 2011. Invited speaker to the `Regenerative Design and Development Workshop', Liu Centre for Global Studies, University of British Columbia. This was an invitation only gathering of highly regarded international experts in the field of regenerative design in preparation for the publication of the 2012 special issue of the UK based journal Building Research and Information. Mine was one of 5 presentations. 2011. Invited member of a panel of experts discussing biomimicry innovation (youth perspective & designer perspective) at a biomimicry workshop and speaker series held at the University of Auckland organised by The Kaitiakitanga Network. A DVD series of the discussions and activities was published after the event through Te Kura Toitu o Te Whaiti Nui-a-Toi. 2010 - present. Frequent peer reviewer for international journals of high repute. For example: Building Research and Information; Architectural Science Review; S.A.P.I.E.N.S Journal; Smart and Sustainable Built Environments Journal; Intelligent Buildings International; Environment and Planning B: Planning and Design Journal; International Journal of Sustainable Development (IJSD) and others. 2008. Invited and successful bid to research and write a value case for Regenerative Development in collaboration with URS (engineering consultancy) for the Ministry for the Environment. This 55 page peer reviewed document was published in February 2009, accompanied by a separate engagement document, which I authored alone. 2008. Invitation to take part in a MED, MfE, MAF, MoRST and NZTE, research gathering to consider possible test-bed opportunities in New Zealand in the area of sustainable building. Nomination to team that produced a cabinet paper for the New Zealand Government. 2008 – present: More than 470 citations of my research. 2006-2009. Invited board member of the Sustainability Trust. Holder of the Built Environment Portfolio. The Sustainability Trust is a Wellington based trust which supports local communities in addressing sustainability related issues, particularly in the areas of energy efficiency, waste minimisation, transport, climate change and community. 2006-2008. Member of the International Council for Research and Innovation in Building and Construction (CIB) W115 Construction Materials Stewardship working commission group, following the publication of 'The State of Deconstruction in New Zealand' report to Task Group 39 of CIB in 2003 and 2005. 2007. 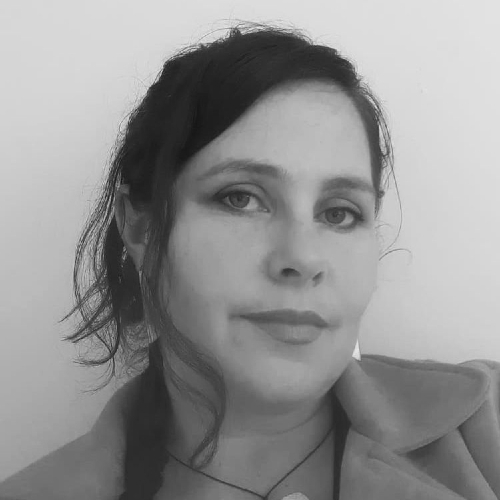 Winner of a Building Research Scholarship awarded by Building Research New Zealand to investigate biomimicry as a potential tool to be used to address climate change in the New Zealand built environment. 2007. Winner of a New Zealand Post Graduate Study Abroad Scholarship to enable participation in the Biomimicry Institute course in biomimicry in Costa Rica. Participation was by selection and was limited to 19 designers and architectures from around the world. I teach in two different areas in the School of Architecture. I teach within the sustainable architecture stream and as a studio coordinator and lecturer in the Interior Architecture Programme. My teaching in the area of sustainability encourages students to see buildings as parts of wider systems including physical, cultural and climatic contexts over time rather than as separate and disconnected units. Students are encouraged to engage in projects that explore how they could create or participate in new and retrofitted existing built environments that are potentially regenerative (able to produce beneficial ecological and social results), rather than to focus on simply reducing negative environmental impacts or adding technologies to buildings. My understanding of sustainability is that issues of social and community wellbeing are indivisible aspects of ecological health and that the two are intertwined. Robert Paulin, 2012 (left), Jenneke Kurtz, 2012 (center), Natsacha Sanguinetti, 2012 (right). As part of my on-going research, biomimicry in a built environment context is a focus of some of my teaching. Students are encouraged to learn about how ecosystems work to make changes to an overall building system before engaging with organism level biomimicry. Natacha Sanguinetti, 2012 (left), Ivy Llanera, 2012 (center), Catilin Wilson, 2012 (right). This journal paper discusses some of my teaching philosophy ideas in relation to sustainability and gives examples of student projects and work (see page 6). Other examples of student work from my sustainability courses can be found here. Some students were invited to be interviewed on the National 'Good Morning' television programme to discuss work produced in one of my courses. A clip of the show can be found here. In the Interior Architecture programme I have taught both second year and third year studio courses. Students are asked to take a critical thinking approach to design and through the projects set are tasked with engaging in a variety of social and ecological issues. Examples of projects include temporary and portable designs for climate refugees or people recovering from natural disasters. I teach the Retail Architecture course where students engage with contemporary responses to the marketplace including pop-up stores, exhibition and travelling projects, through to traditional fixed shop design. This studio is combined with a technology stream in sustainability where students are encouraged to integrate issues of ecological and community health into their designs. A developing research stream for me is understanding the architectural and urban responses to historic and contemporary cultural contexts of various parts of Asia, specifically Tibet, Mongolia, Nepal, and Northern India. At the end of 2011 I led a group of 32 students from across the faculty to Tibet and Nepal for a 6 week international field trip. I have been invited to be a guest lecturer in VUW programmes mentioned already and in addition: Landscape Architecture, Cultural Ethnography, and Tourism and Development. 2019. Invited keynote speaker at the ‘6th International TensiNet Symposium: Softening the Habitats: Sustainable Innovations in Minimal Mass Structures and Lightweight Architectures’, Hosted by Politecnico di Milano in Milan, Italy. 2018. Invited guest lecturer (public) at the Royal Copenhagen Academy of Fine Arts Architecture School (KADK), Denmark. September. 2018. Invited guest lecturer for the PhD programme at Politecnico di Milano, Italy. September. 2018. Visiting scholar / lecturer at Aarhus School of Architecture in Denmark. April – October. 2018. Invited guest lecturer to the Architecture Masters Programme at Aalborg University, Denmark. September. 2018. Invited visiting scholar at Coburg Hochschule School of Architecture in Germany. Public lecture and coordinator of an intensive special topic course in Living Architecture (2 weeks). June. 2018. Invited visiting scholar (2 weeks) with Ceebios, through the Natural History Museum (Muséum national d'Histoire naturelle) in Paris. Several public lectures were provided including at the Institute for Desirable Futures (l’institut des futurs souhaitables) and the Ecole nationale supérieure de création industrielle (French national institute for advanced studies in industrial design). June / July. 2017. Invited lecturer at the Natural History Museum (Museo Nacional de Historia Natural Cubana) in Havana, Cuba, and the Santa Clara Architecture School, Cuba. 2017. Invited lecturer at the Institute for Urban Planning Research (IPPUC), Curitiba, Brazil. 2011. Invited lecturer for the `Regenerative Design and Development Workshop' at the Liu Centre for Global Studies, University of British Columbia, Canada. 2016 – present: Supervisor to 2 PhD students (1 completion). 2015 – present: Co-coordinator and founder of the Ecologies Design Lab (Master of Architecture, Master of Interior Architecture, Master of Landscape Design, and Master of Building Science programme, VUW). 2010: Co-supervisor of honours student Nick Griffin's thesis '25mm. A Hydrological Opportunity'. 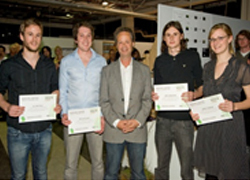 This was the best final year project of 2010 for Landscape Architecture (Victoria University of Wellington) and a Benson and Cooper Award for Sustainability prize. 2008-9 supervision of 4th year honours research projects (7 completions). Victoria University School of Architecture Research Committee. 2010 to 2012, and 2017-2018. Chairperson of the Strategic Engagements Committee, School of Architecture. Victoria University of Wellington (member since 2012). 2014-2015.Victoria University Environmental Committee, Faculty of Architecture and Design representative. 2014-present, 2007-2011. Coordinator of the Benson Cooper Awards for Sustainability2009 and 2010. This competition explores the potential of creative design and technical expertise to advance compelling solutions for sustainability. A series of 6 prizes totalling $6600 were awarded across disciplines in the School of Architecture. Project Manager Faculty of Architecture and Design carboNZeroinitiative 2008. The Faculty participated in the Landcare Research programme and in June 2008 was the first such Faculty to achieve carboNZero, or any other carbon neutral certification in the world (for the period 2008/2009 only). News of the initiative was published in 'University World News', issue 34 by J. Gerritsen in June 2008.